Choosing the right printing company for a job can make the difference between running a successful marketing campaign which grows your customer base and strengthens your brand image, and a terrible flop that doesn't amount to much more than a waste of money. The modern consumer - be they home or business - expects nothing less than the best quality. It is no longer possible to get away with poor quality, ill-thought out marketing materials. Your customers won't put up with it, your competitors wouldn't countenance it and neither should you. But how to go about choosing from the myriad printing companies that are available? Approved Index aims to make the process as simple and as straightforward as possible by providing independent advice and a free quote comparison service. Our mission is to help you choose between the available options in as little time as possible while saving some money into the bargain. Of course, in an ideal world, we'd all choose the best of the best but in reality your choice is always determined by a trade off between quality and price. In order to fully understand what it is that you should look for when outsourcing your print requirements, it's necessary to understand which companies are best suited to which projects and how savings can be made without compromising the quality of the print. 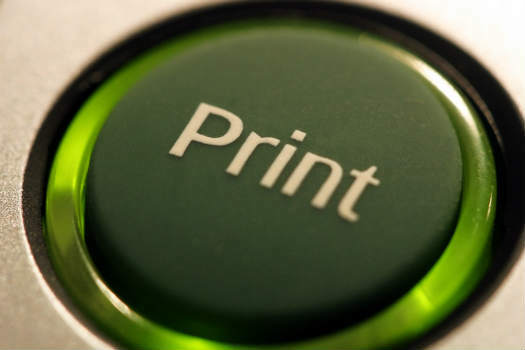 Printing companies will employ different methods for different tasks according to the materials and volumes involved and this means that different prices apply across different scales. For a breakdown on how volumes affect prices check out our Printing Costs page. Over the past few years Approved Index has put together a nationwide directory of top notch printing firms who can deliver all types and sizes of print job. By using our free service you can request quotes from up to 4 of these printing companies today. Start by submitting your outline printing requirements using our simple enquiry form. You can save time and money by sourcing your print work through Approved Index. Approved Index compare Printing Companies to find the best fit for your business.